Small Coke Cans: Are Consumers Paying More for Less, or Are They Just Paying to Get What They Want? When Coca-Cola checked its sales data recently, it found consistently over the past few quarters that sales of smaller containers, such as 7.5-ounce cans, were growing fast, while traditional packages kept suffering stagnant or even decreasing sales. The evidence has prompted the beverage company to revisit its approach, such that its goal is not just to sell Coke but rather to sell Cokes. What’s the difference? Consumer trends have led more people to request and purchase small containers of cola, so that they can limit their intake and achieve healthier lifestyles. In particular, parents wanted the smaller containers so that they could allow their children to have a treat, without loading them up with more sugar and caffeine than would be good for the kids. Therefore, they sought to be able to buy a 12-pack of small cans or bottles, rather than a 6-pack of the traditional 12-ounce packages. The volume of actual beverages being purchased might not change, or even might decline. But the number of packages being bought increase. 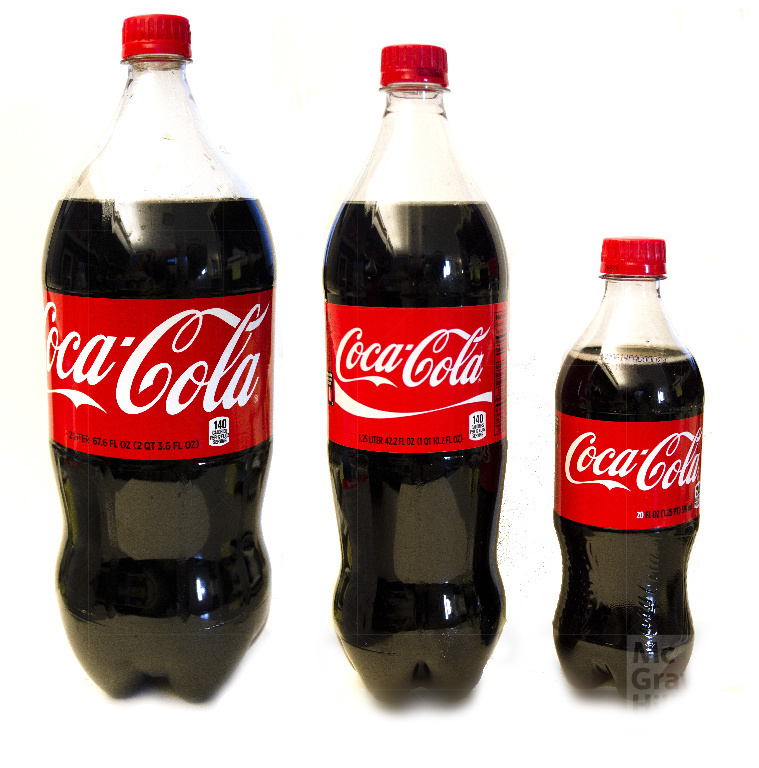 As a result, approximately 14 percent of Coca-Cola’s product mix now consists of the small servings. In addition to revising its perspective on what customers actually want, Coke has reinvented its pricing approach. In particular, it enjoys a beneficial new price platform due to the switch. The cost to consumers for the small cans is approximately the same as that for the larger packages, meaning that shoppers pay approximately the same amount of money for substantially less product. But for the most part, they appear willing to do so, because the smaller packaging meets their needs and represents a clear response to their requests. The 17 percent sales growth in the small size categories affirms this willingness. As a result of “more people, enjoying more Coke, more often, for a little more money,” Coca-Cola also has increased its revenues, despite decreased volume sales. Although the threat of cannibalization remains pertinent, such that the sales growth in small packages might only come at the cost of lost sales of larger ones, the company appears confident that it is in the right path. What pricing tactics is Coca-Cola adopting for its smaller sized packaging, and why is it working?